“something similar happened in Australia” – have you ever been to sunny German beaches? I am not dyslexic but clearly RE has headed to ER and not even George Clooney can save it. RIP both Solar & Wind Power in Deutschland. Hundreds of billions of Euros squandered by the “Angela Merkel Dummkopf Greenie Govt”. And Oz is heading along the same “Kamikazi” path, especially the eastern states – SA, VIC & QLD with SA’s “fast tracked large scale Base Load Wind Power Generation” almost certain to economically cripple the state. The scam has already done its job; hundreds of firms have shut down or relocated elsewhere. 3150MW. There is no such thing as Base Load Wind Power. The only hope for SA is for the Federal government to reduce or eliminate subsidies for turbines very soon, and under Turnbull and Frydenberg that won’t happen. * Ending subsidies for energy, which are passed on to all customers. The Renewable Energy Target will cease in 2020. Renewable energy sources (for which prices are falling) will have to compete with all other energy sources. * Create a level playing field that ensures all types of energy are part of Australia’s mix. Reliable energy sources which provide power when it’s needed (such as coal, gas, pumped hydro and batteries) will provide power for Australia, along with renewables. Our National Energy Guarantee involves no taxes, subsidies or trading schemes. * Providing certainty for investors in new and existing power plants. More certainty will mean more supply and, in turn, lower prices. * Reducing volatility: Unpredicatable power supplies, such as wind and solar, create price spikes when the wind doesn’t blow or the sun doesn’t shine. By guaranteeing reliability, we will reduce those spikes, putting downward pressure on prices. The above is an extract from a letter from my Federal Member (National) answering a complaint from me and dated 3 April, 2018. He enclosed a Media Release dated 29 March 2018 from The Honouable Josh Frydenberg MP, Minister for the Environment and Energy. I post this for your information and comment. with due regard for heated interviews with the Minister recently conducted by Radio 2GB’s Alan Jones I remain sceptical about the intentions of the government and the opposition, emphasis on the Paris Agreement and the importance the politicians place on meeting targets. That first statement is not accurate. The subsidies do not end but there will be no increase in the target. The subsidies for STCs are phasing out over the period 2015 to 2030. The subsidies for LGCs will continue till 2030. You should ask the question what is meant by “ending subsidies”. I think they mean ending new subsidies. If more grid scale wind and solar is added after 2020 it will tank the LGC market. Subsidies make up more than 50% of the income of grid scale wind and solar. If they go, the wholesale price will generally cover operating costs plus a small margin. So existing projects could not recover financing costs. Even with the existing subsidies, if the project horizon is longer than 12 years there is no point building any new wind and solar now. If there is no prospect of subsidies remaining after 2030 then there is no point in building more run-whenever-you-like generators to connect to the grid. There may be economic opportunities in off-grid applications. For example, South Australia is already economic for rooftop solar plus battery. That is so typical of the half-truths and cover-ups behind wind and solar. Sounds like a rerun of the scandals being discovered by the Royal Commission into the banking and financial industries. Perhaps we need an RC into government incompetence and/or malfeasance! One thing is wrong with their propaganda leaflet Dennis is while there is weather dependent generation there will always be spikes in the system . Agree ITS about destroying The economy to get a poorer population that lives on handouts from the State and easier will accept a radical change of society. The road ro serfdom. … but when all/the majority of the population is poor, from where will the State (which has no money of it’s own) fund the handouts – tax on handouts won’t last long! economies – dash – Oceania, uh-oh! CONTRA to the benefit of the cits. They’ll get the money through selling South Australias’ magic pudding to a greater fool. Has the Rewnewables Industry collapsed in Austraia since 2014? I was working in Bacchus Marsh last month and noticed all the empty irrigated paddocks that once were filled with fruit and veg crops, asking a local about it they mentioned some local eco-nuts wanted to fill all that land with solar panels and make it a great energy producer that would make so much power they could sell the extra to government or industry. They overlooked the facts that the land is very flat and prone to flooding and its situated in a natural hollow that limits a little sunlight exposure but can create a trapped rain system during the colder months, I can personally vouch for this from working there over the years and any old local will tell you the same, so overall not a good spot for solar. The clincher was they needed government grants/subsidies to make it happen and it seems to have been rejected, out of interest I know of a large Landcare property or facility just out of Bacchus Marsh that may have something to do with this or other local alt energy projects, its has high security fencing and locked access. Also to add the farming land I mention was being worked by a Chinese business or at lest use Chinese workers a least 5 years earlier, I couldn’t properly breakdown the ownership of this land but it was the economic backbone of the area with possibly only a few families owning the land, if anyone knows more please chime in. Re-reading Jo’s post I suppose that the renewables industry did take a big hit in 2014 when Tony Abbott cancelled the Gillard Carbon Tax. But Turnbull/Hunt/ Freidenberg put it back again in the form of the Rewnewable Energy Target which set rewnewables booming again. Having a look for more information on all of the pro-renewables anti-coal websites they have a lot of posts regarding the LNP blocking or stopping funding for various renewable/climate projects (rorts) and how evil they are etc, what these people continuously fail to grasp is the huge economic gap between outlay vs return where renewable investment is concerned, but I guess the hard left will never get it and in a still relatively capitalist market they see themselves as a rare protected species, pity they don’t put that energy into saving the actual protected species’. Prime Minister Abbott and Treasurer Hockey were replaced in September 2015. When ordinary people, such as I am, with nothing remarkable about me, can see that the entire renewable energy industry and programs of subsidies, tax breaks, etc. were false and government sponsored frauds upon their own people, then what does that say about the quality of government? Libs are stuffed, that’s for sure. Labor will be the ‘government’ after next year’s election and Australia will go full retard hard left … before it finally goes extreme right and demands a different form of government amid national financial ruin. The greenie vandalism of education, media and politics has worked. Now we can finally fully align with China and use Anzacs to help invade Taiwan then Japan. It tells us that government does not operate in the interests of the people and those that are elected to represent us ignore us as soon as the election is over. That is not democracy. What is needed is a mechanism to replace representatives during their term if they lie and mislead us. Then they will fear the people for their whole term – a nice concept. a. The registrant demonstrates sound, measurable effort and outcomes in representing the interests and promoting the electoral ‘promises’ made to gain election. They keep their appointment and status quo. b. The registrant’s exceptional effectiveness is rewarded by a decrease in personal indemnity insurance and six monthly political practice registration fees. c. The registrant’s personal indemnity insurance is increased along with political registration fees as they are likely to be insufficient to cover emerging incompetence and ineffectiveness. They receives a formal warning. Only a single warning is permitted before firing. d. The registrant receives notice that they have been de-registered, and fired. Per separation of Powers, and separation of Church and State, politicians must be separated from the Media, and the media banned from talking to elected serving politicians. Untill that occurs politicians will always grandstand and talk incessant lies to the media, and not focus on their job description. If they do that they’d get re-elected on merit alone, or not, whatever, but the results could not possibly be worse than now. But just think of the jobs that will be created, most likely at tax payer expense, for cleaning up the mess? That is if they actually even do clean it up properly which they won’t if this blog post over at the NoTricksZone is accurate. The blades and housings will be dumped in third world countries because they can’t be cost effectively recycled or incinerated and the massive concrete bases will be demolished to a couple feet below grade and then covered up. When will Ontario voters get the message? If any of the boneheads could have gotten the message they would have done so BEFORE they allowed the government to subsidize something that private industry would not invest in because they knew from the beginning not economically viable. But apparently a whole lot of people in many countries would “buy” the Brooklyn Bridge off a guy hanging around in a dark alley. Speaking of bridges…in the previous thread you vented about crossing the Ambassador Bridge. Is Canada Building a Bridge Too Far? BOTTOM LINE – The owners of the Ambassador Bridge are lobbying the Trump administration in hopes of undercutting the Canadian government’s attempts to build a rival project. Manuel “Matty” Moroun, the real owner of the old Ambassador bridge is a total %&$. The man owns Central Trucking and has stated he hates truck drivers. The &*%$ has fought every improvement and when forced to work on the bridge has made it hell for us. He actually spent time in jail because he failed to comply when ordered to do improvements. I can’t remember crossing that bridge when at least one lane was not closed due to the never ending “construction”. He could have put in electronic tolls long ago but instead kept booths with people. Now we have an RFID tag for the toll but that has just been in effect for the last couple years. All that being said, the bridge is not the real problem with making the passing efficient. It’s customs on each end that is the real hold up in getting through in a reasonable time. In this day when the governments have more information on individuals at their disposal about it’s citizens than ever before this former SF soldier that once held a Top Secret Clearance and was trusted with the knowledge of how to use and activate a SADAM device has been treated as if I’m a potential enemy of the state by the customs officials of my own country at times! I have had to take empty trailers through the X-ray when all they had to do was cut the seal in look inside! And that is on top of the long waits in lines of idling trucks that one endures because the government will not improve the facilities or system enough to make for efficient and yet secure crossing! For years, successive Canadian governments tried to strike a deal with the Americans to jointly invest in building a new crossing. In February, the Harper government gave up and made an extraordinary announcement: Canada would build a new, roughly $4-billion bridge benefiting the economies on both sides of the river, but without any financial participation from the state of Michigan or the U.S. government. The Canadian government and Ontario are splitting the $1.6-billion cost of a direct highway connection to the new bridge in Ontario. The rest—a new bridge span, highway interchanges in Michigan, and new massive customs and immigration plazas in both countries—will be built by a Crown corporation, financed by expected toll revenue. Any shortfall will be covered by taxpayer dollars—Canadian taxpayer dollars alone. In short, Canada has promised the United States a free bridge. Well I bet it will get done eventually but Matty has fought it all the way. The thing is much of the area on the Detroit side south of the existing bridge is perfect for that end. Really not that much in the way of industrial development along that portion of Fort Street compared to other areas. The current customs on the US side could have been expanded long ago servicing the existing bridge. But you know we’re talking about a city that has very corrupt Democrat dominated government for decades. Even if the voters get the message do they have a choice at the ballot box? We certainly don’t here in the UK. Powering a grid from Solar sounds so much like Churchill’s bucket analogy. How the GAT is heading particularly the lower troposphere compared to the IPCC models will be obvious to all by around 2020. 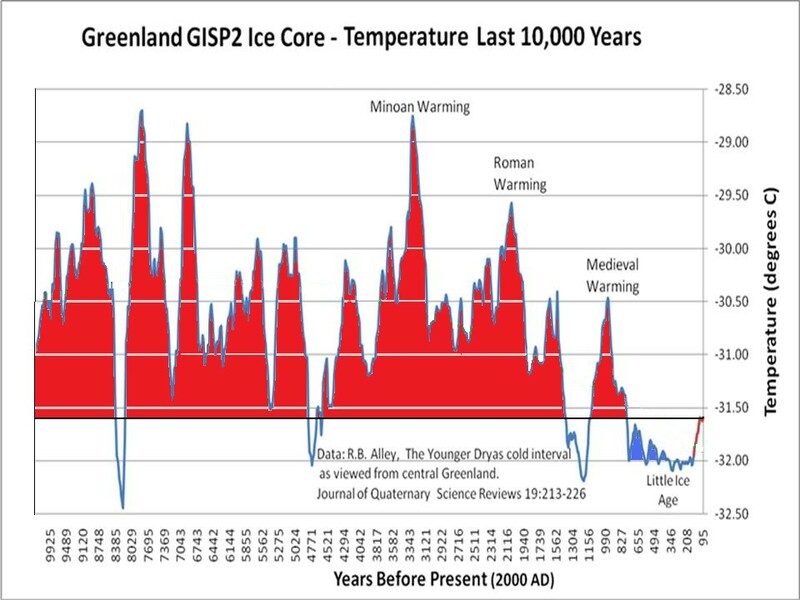 Why attempting to limit the anomaly to 2C above the second coldest period since the Younger Dryas was regarded as a desirable or even plausible aim requiring the abandonment of everything achieved since the Industrial Revolution will mystify future generations. What we will see from governments including our own above all is attempted face-saving or in military terms tactical withdrawal. That’s 2C anomaly this century. This news is very welcome in a “let’s resolve this horrible mess” kind of way. The unfortunate or even “ugly” aspect of this episode in the evolution of humanity has many faces, and it is hard to say which has been the worst. These renewables have been financed, outside the normal tax system of our country. This has been possible only by deceitful manipulation of the taxpayers and voters who for some stupid reason, trusted those in government and those hired by government to provide the necessary expertise and control the venture. The major premise on which the whole mess is based, “CO2 Pollution”, has never been a scientifically justifying factor and if proof was needed about the motivation behind the new religion just look at the excess CO2 produced in the production of renewable kilowatts of electricity: huge. The ugliness of this mission, if we ignore the modernised version of slavery we have been subjected to, is highlighted by the nasty, poisonous pollution produced as a side issue to the manufacture of renewables. This pollution occurring in far away countries where people are apparently more expendable. The good news from this post is that the sham is collapsing and with time Australia may also be given its moment of truth. Then “somebody” has to dig out all the concrete bases, shred and dump the turbine blades, safely decomission the batteries ANF solar panels. Plus dispose of the 300-500kg of neodymium in every windmill. Steel used in turbine construction embodies typically about 35 gigajoules per metric ton. That’s the thing about farming you are at the mercy of the weather and government regulation . Has Germany not received this memo ? The only saving grace for that ABC article is that it is designated ‘Opinion’. Other than that, it is complete and utter hogwash and alarmism based on falsehood. Why are we paying for the ABC? Can a wind turbine in its life produce more energy than went into its construction ? In my link above it states ‘Undoubtedly, a well-sited and well-built wind turbine would generate as much energy as it embodies in less than a year.’ and others have estimated 12 years+, regardless though the fact remains all of it will be in the form of intermittent electricity—while its production, installation, and maintenance remain critically dependent on specific fossil energies. So, it cost a bundle to build a windmill, some say 12 years worth of what it produces. And it produces that power at about 6 times the cost of what a coal powered station would. And nobody has budgeted, or considered the dismantling of the windmills, which is quite significant for those build in national parks (and had forests removed for the mill and the road to get built). All this because the politicians believed that poring money into this venture would create technology, and that they would eventually become cheaper, maybe, hopefully. The most insulting thing about all this is that it was done on our dime, against our will, and many telling them it was a stupid idea. I want to see some people tarred and feathered, and ran out of town by an angry mob with pitchforks. Production; lots of small output units, very inefficient. With existing processing technology, which requires stable production, wind cannot produce enough energy to replicate itself. To get stable output it needs to be tied to some form of energy storage and storage is expensive. With current battery technology the capacity factor reduces to about 7% for the cost optimised system. That means the steady output is only 1/15 of the rating. A 100MW wind field could be relied on to produce 7MW of steady power. If there was abundant hydro power capacity then the 100MW wind field might get as much as 10MW steady output for an optimised option. If societies sole focus was power generation then you need to produce 3 to 4 times more power than used in the actual generating infrastructure to support society. That means the 100MW wind field will have about 2MW available to replicate itself. To have society with some ability to do things beyond just producing energy you would count on 1MW from the 100MW wind field to replicate itself. Hopefully you can get a 25 year life from the components. So the 100MW wind field will produce 220GWh to replicate itself. Using current industrial price of electricity at USD40/MWh, the wind field will have USD8.8M available to reproduce itself. The is not enough to just replace the existing turbines with free turbines. Even if all the steady output of 7MW could be used the total output value of USD62M would not even replace the turbines let alone the storage system, which is likely to have a shorter life. If if production processes could operate under the run-whenever-you-like scenario, the very best capacity factor of say 40% would only you USD350M of industrial electricity over its life and that covers 3X the cost of building the wind field. So no storage and no life other than building and replacing them. A CF above 25% is good. The only long term choice for heavily populated countries like China is nuclear. Australia can get by for 200 years or more on coal and it is likely rooftop solar will be an option for low power intensive consumers within 100 years. Australia should be building the next generation of coal plant. There needs to be a lot more development with solar and storage technology before it is economically viable in a sane world. The German situation will probably set back solar and wind developments. There will be a lot of people burned by the experience and will be slow to recover. The one benefit of the experience is that other industrial nations will avoid following the path. South Australia is also a good example but the true cost has not been sheeted home fully. You could say SA will remain a development location for wind power. The existing wind producers will be profitable as long as the subsides remain. blades sweeping over an acre of air at more than 100 mp. pounds of reinforced steel and 181 cubic yards of concrete. to last 15 years.Then there’s the problem of their dispoaal! Drilling, fracking, and transporting product via pipeline, are orders of magnitude more ecologically friendly with a smaller foot print than that. Even off shore oil spills present a temporary disaster, historically. Back in the 1960s the Russians did a very well engineered and thorough feasibility study into railing thermal coal from Siberia to the Moscow area. The killer to the project was that the energy required to rail the coal was greater than the energy contained in the coal. This might bring a few smiles to some faces, BUT a wind turbine uses mere energy in its production, transport and erection than it will ever generate. One big difference between the 1960s Russians and us – they did a thorough feasibility study. I love that imagine Rick. “Wind can’t produce enough energy to replicate itself”. Are you saying it is unable to reproduce? In reality, the only place that wind turbines can be “reproduced” is in Parliament. I’m tempted to go down there one day and see how it’s done. So Rick. It seems that you have invented a new form of mathematics. Modern wind farms are reaching well over 40% and some over 50% capacity factor. So if you need an average of 24,000 MW you need around 50-60,000 MW of wind turbines, substantially less than the US already has. Because across the NEM wind sometimes drops to 5% capacity that would mean a wind only system would need average backup of 22,000 MW. As it turns out we have about 2 GW of bagasse, landfill etc so reducing backup to 20,000 MW. We also have 8,900 MW of hydro so that means we need 11-12,000 MW of backup. Now no-one is proposing a wind only system in fact solar will probably out generate wind so we will probably end up with about 40/30 solar wind ratio of generation. Now if you look at Aneroid you will find that low wind is in the middle of the day when solar is maximised so to provide a typical daily peak demand of about 30 GW 40 GW of solar would do the job nicely so all the wind could be used for pumped hydro, power to heat (eg hot water) etc. As we have 22,000 sites suitable for pumped hydro and we actually only need a few dozen, there isn’t a problem for storage. All those pumped hydro ponds would take up about 2,000-3,000 Ha by the way, about the same area as the Hazelwood power station and mine or 1/10th of the area of the Hume reservoir. Yes and if the ALP+Greens win the next election all those jobless people will try to move to Australia to all those new jobs we are promised will be created by wind & solar. With what’s happening in Germany and in the light of all the positive achievements Trump has made since he became President, there is one action that Turnbull can carry out to prevent Australia from collapsing; kill the renewables industry immediately, which of course he won’t do. So by not carrying out such an action immediately he is deliberately going out his way to destroy this once great nation, which is no different to what Shorten would do. Anyone voting for either major party would be supporting that destruction – no ifs, buts or excuses. I could not vote for either of the barstards. I just hope there are many more people like you. This nation is at a critical juncture. If we don’t break the stranglehold of the two major parties, this nation is doomed for sure. The best we can hope for is the ACP to hold the balance of power. Let’s wait and see how asleep Australians are at the next federal election. It shows the mindset of blood suckers riding the CO2 is evil train. The consumers will be disadvantaged by paying lower prices for evil coal fuelled power rather than s higher price for the virtuous weather fuelled power. Totally off topic, but it cannot be missed. I hope this means Jo and David have won their bet or are getting very close to winning. There might not have been a drop of this magnitude last century, but after the strong El Nino pulse of 1878-79 the temperatures began to fall quite sharply into the mid 1880s. This trend should theoretically lead to a cool wet environment in Australia over the coming decade. Have we dropped ‘Climate Change’ and gone back to ‘Global Warming’? I must have missed the memo. us efficient energy and cee-oh-too plant food, u are so good. See that scary robot movie where solar power is used to manufacture solar panels? Nah, I didn’t see that either. You can make car upholstery in space believable (well, sorta) with the right CGI. But the public just isn’t ready to accept the solar panel which can multiply its own kind. In reality advanced AI robots wouldn’t care about using fossil fuels as they don’t breathe and only consider effectiveness of the power utilised. Reminds me of the ABC Warrior robots in Judge Dredd designed to withstand Atomic, Bacterial and Chemical warfare during the Volgan war, no solar or wind power used I’m guessing. According to the Australian Financial Review about two years ago from memory the total cost of skilled labour in Australia including all operating costs for a manufacturing business including wages was A$600/day compared to the US A$400/day and India A$200/day, figures rounded off by me. The USA can get by to some extent with that high pay rate because they have extraordinarily effective work place arrangements and systems. Australia can’t compete and the only two solutions are to become very thrifty in the way we approach work and government and then gently begin devaluing the Australian dollar to make our manufactured products cheaper. Oops, forgot: we don’t have any manufacturing here any more because our electricity is too expensive. I am skeptical of these sorts of numbers. Say there is a landscaper or delivery driver and such got hired by a solar company to landscape or deliver. If the solar company no longer needs such workers, they will find employment at a different sort of company. Perhaps one that makes and sells something useful. Where is all the Trolls they usually bang on about how Germany is the poster child for renewables ? Hang on robert w ed still have time for PeterF to show up. I hope we can respond when he does. Further evidence that CO2 cares not for German solar panels or hot weather. Productive, effective, and efficient inventions do not require subsidies. That ought to be a clue to some people. Wonder why on Earth the Politicians wealth is not held in public trust as insurance against them being quite wrong. A sensible person would do a pilot plant and test the idea for a year or three. Then if you thought it was still a good idea, you could scale it up for a town of 10,000 for example. Then if that worked out, you could sell the idea to the rest of the nation. Or if you were a total imbecile; you’d just believe the sales pitch and jump right in full commitment of billions of dollars of other people’s money. Just like they did with nbn; only the most stupid idea and implementation I’ve ever experienced in my sorry life. So the first utility solar plants were connected in Germany in 1990 and it has steadily increased in size and number while cost per unit and subsidies per kWh have declined exactly following your prescription, a 28 year controlled release as performance improved and prices fall. It had to happen and has been doing so for some time though they still try to deny it. The description I like so much about the German energerwiend is ‘disillusionment’. Such an apt word that tells it all. Oh, and the other word I like is ‘bloodbath’ – so descriptive. It’s the same in the UK. For years, RegenSW has produced an annual progress report boasting about the rapid growth of renewable energy. The report for 2017 is now nearly 9 months overdue. It is clear that they are embarrassed at the downturn since subsidies were slashed in 2016. Oh dear! The scare mongering continues! Did you know we have reached 410ppm of CO2? Nah! Neither did I! So with record cold in the Northern Hemisphere, I wonder where the correlation is? After all, it is an extra 0.001% of CO2! Oh, and here is the Scientific American report, if you acre to read it! How do ABC types bury their head in the sand and repeat the line that renewables compete? The insularity of the internationalist cosmopolitan bubble people is astounding. Which bit are you unhappy about, US wind projects at record levels, Chinese solar installations going gangbusters. Germany generating 42% of its power YTD from renewables. Annual solar installations running at over 100 GW when 5 years ago the International energy agency said that by 2018 solar installations would run at 30GW. And so now we are finally discovering the true meaning of renewable. It will Fail, so it will have to be renewed. Pitty to burst your bubble it is wrong Germany installed more solar and generated more solar power than ever. in fact since 1st April to May 3 Germany has generated more power from solar 5.68 TWh than it has from Black coal 5.39 TWh and wind was almost as much as brown coal. I hope you aren’t too disappointed but in the last year more than 100 GW of new solar capacity has been added around the world. Check out Australia’s wind energy output for April whereby for 15 days of the month the output drops to around 10% of installed capacity or less. And the bozos cheer as they blow up coal fired power stations. Those who cannot learn from history are doomed to repeat it. And one more time the lesson will not be learned if I’m any good at guessing the future. You only need to look at the history of solar water heating in America to know how it will go. The block I live on had numerous different kinds of solar water heating panels on them. But they’re all gone now, including mine…lesson learned. Never again. Government is the most fickle thing on Earth. I love this stuff it is just so fact free. According to the Fraunhofer Institute In the first 4 months of 2016, Germany generated 9 TWh from solar, 2017, 10 TWh, 2018, almost 11 TWh. i.e. solar power output in Germany is growing rapidly. As for installations Since January 1 2017 Germany has added a net 8 GW of solar capacity. i.e in 15 months it has increased solar capacity by more than Australia has installed ever, some bonfire. Even March was a poor month only installed a net 150 MW. That’s it! You are now fully automated and ready to speak for Big Green. Congrats. I’m not sure what that mystical response means…but I’ll take it as OUCH. But what do Urgewald know anyway?